He started out 4 years ago as an Associated Professor and now he is the Programme Director for the International Master in Marketing, the Executive Master in Communication Management and a Professor in Marketing. Just that. His name? Poole. Antony Poole. So why are we interviewing him? 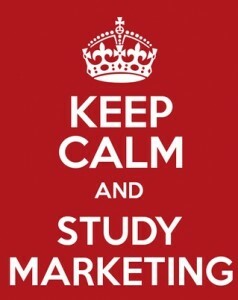 Well, because for us marketing students he is our “Guru”, both teaching and helping us. He was the first person to call me when I enrolled in EADA and he is the one who built my (fantastic) study group. Basically he knew us before we even set foot in EADA. Now that we are here, if “we have a problem Houston”, it is to his office that we go running for help and advice. Luckily for us he finds it rewarding, “seeing students grow is the best part of the job”. The challenges of the job? It´s unpredictability. “Every year we try to improve things but the results we get from interacting with different groups of students is never the same”. Problems arise, but some groups often surprise him and turn out incredibly well, “because people understand how to get the best out of each other and to see a group working almost to perfection is fantastic”. Just the way it should be in a real company. Among Antony’s past students there are some success stories ranging from becoming the head of customer marketing for L’Oreal Brazil to creating a startup business based on their final project. The bottom line is that even when we leave EADA we will still have someone looking out for us. So which ever country we go to start our career we might not have an office door to knock on but we will have an email address. So Alumni, if you want to make his day, let him know that you have achieved the goals you set for yourself when you first got here. Written by M. S, International Master in Marketing participant.